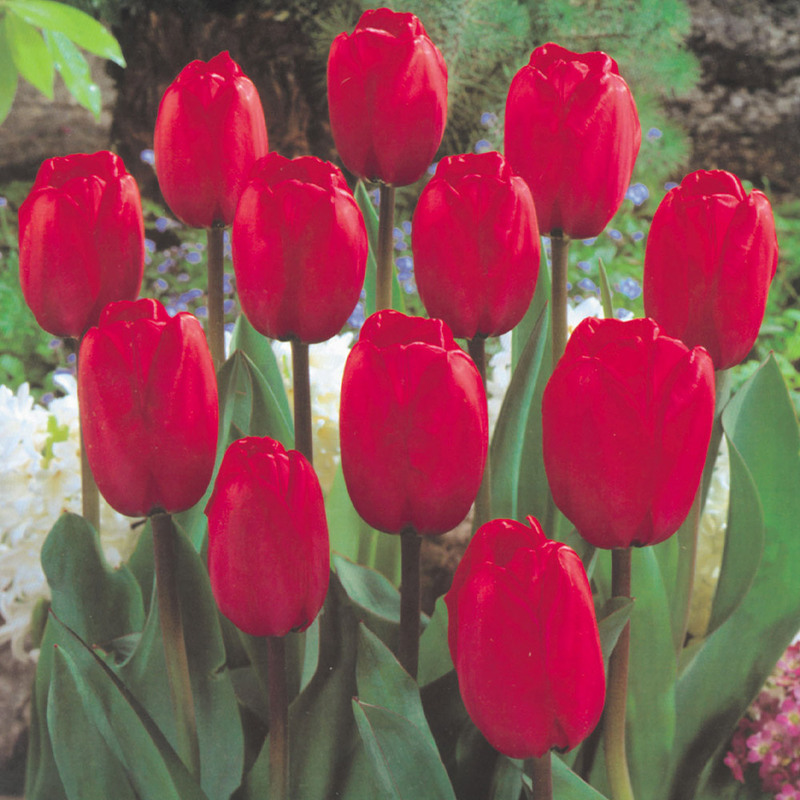 Inside this Darwin Hybrid is blood red, the outer is an irregular delft rose and red, towards the margin blood red to match its centre. 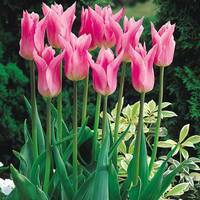 The flower heads are giant, up to 20cm in diameter, its fern green leaves frame its sturdy stems and growing to a height of 55cm. 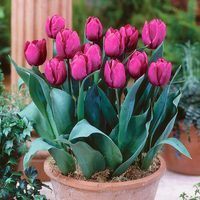 It is an exquisite choice for a cut flower display whilst making a charming addition to a sheltered bed or border. 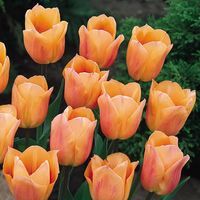 They are mid-season tulip, flowering after the Single Earlies but before the Cottage varieties and have very long lasting qualities with the added bonus of looking great year after year. 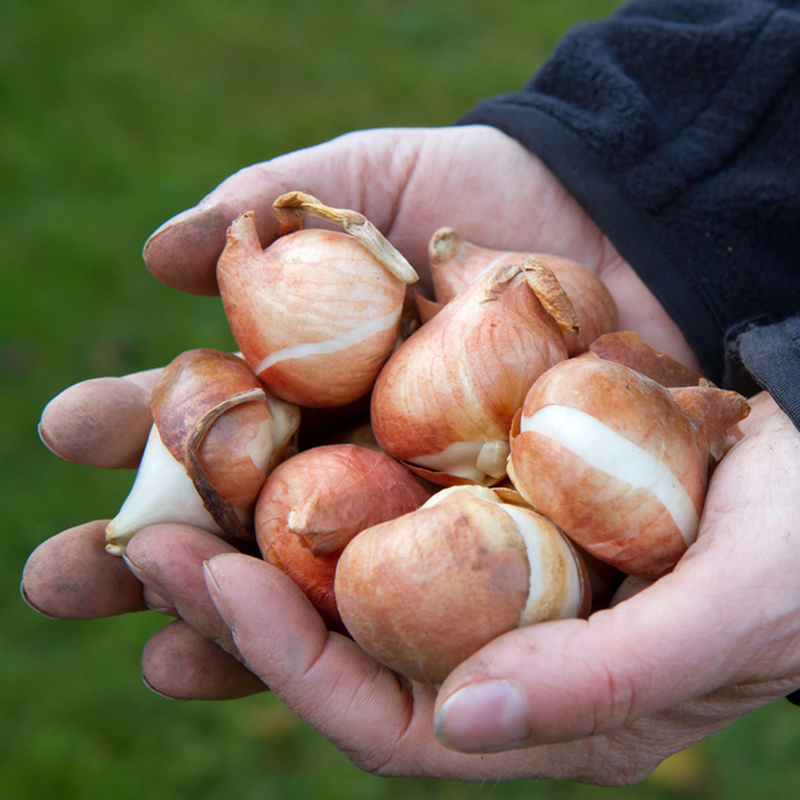 11/12cm bulbs are supplied. 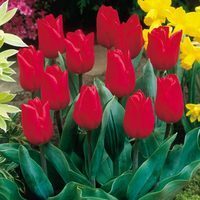 Flowering April-May.